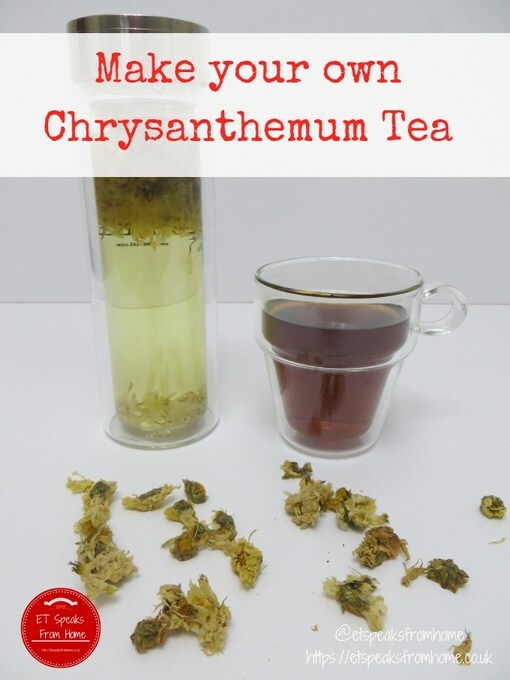 Drinking chrysanthemum tea has been a part of my life since young, especially whenever we are ill or eating at dim sum restaurants in Singapore. 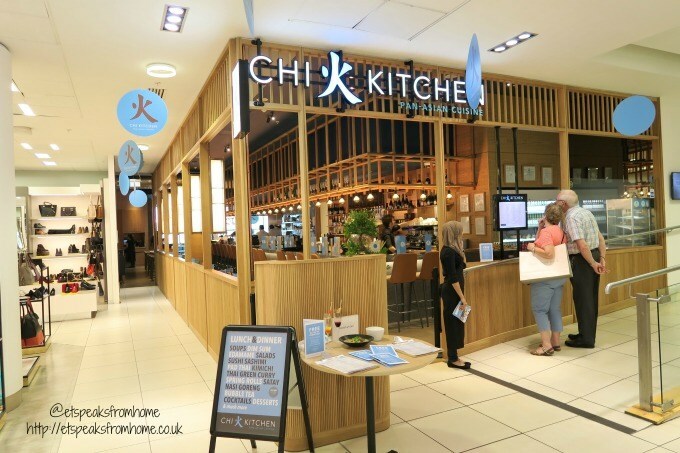 Drinking chrysanthemum tea in the UK is not common practice at all and not even in Chinatown Chinese restaurants. It is one of my favourite teas that I missed when I moved to the UK. 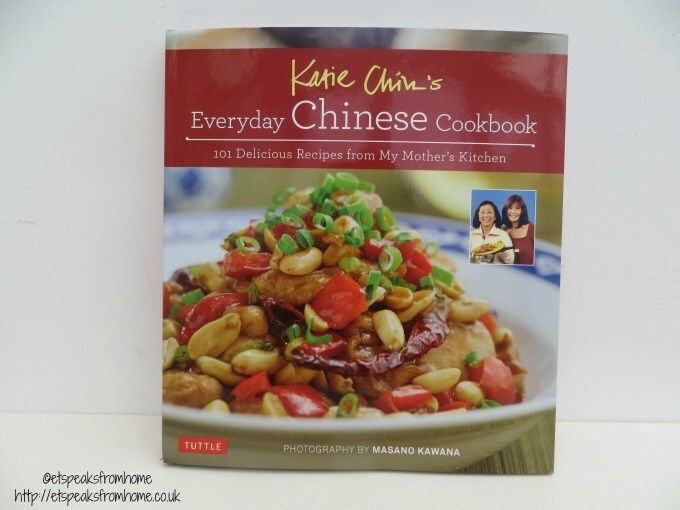 This Chinese Glazed Salmon recipe is found in Katie Chin’s Everyday Chinese Cookbook: 101 Delicious Recipes from My Mother’s Kitchen, which will be available to buy on 26th April 2016 on Amazon. This book pays homage to Katie’s late mother, the legendary chef and restaurateur, Leeann Chin. Sharing a collection of beloved family recipes, Katie weaves a compelling tale of Leeann’s life and her pioneering role in popularizing Chinese cuisine in America. From Chinese classics like Kung Pao Chicken and Shu Mai, to Chin’s signature Firecracker Shrimp, recipes defy the intimidation factor often linked to Asian cuisine. This is my third challenge as a Bostik Blogger and this month’s theme is Easter. I have received a crafting box packed full of Easter theme crafts. So I decided to adapt this craft into a learning craft for my children. This Easter craft is great for decoration and for teaching your children to recognise Rabbit in the Chinese word. This is very simple to make. As a Chinese family living in the UK, it can be easy to lose touch of Chinese culture especially during the Chinese New Year times. So it is very important for us to teach and enlighten our children on our Chinese culture. Each year when it is near CNY, I would teach my children CNY crafts and also the story/meaning behind it. I am really pleased to come across this app called Miaomiao’s Chinese New Year (iTunes £2.29). 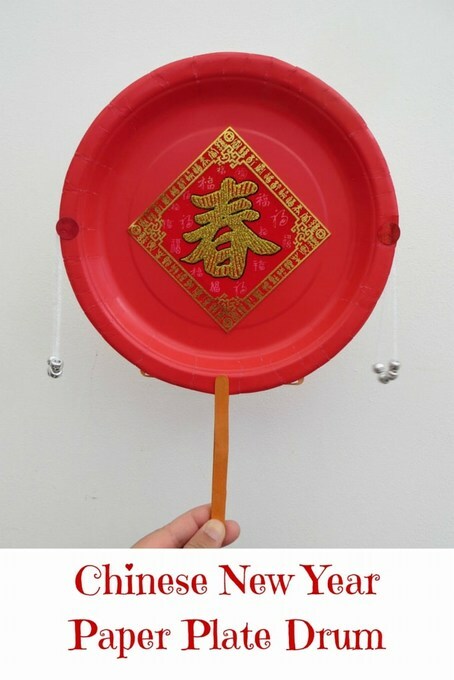 This is my first challenge as a Bostik Blogger and looking through the crafting box, I decided to make a Chinese New Year Paper Plate Drum as part of the Chinese New Year theme. I have always wanted to make meringue as they only require a couple of ingredients and should be easy but I’ve always been put off by the long baking time. Now that the children are at school, I feel like I have the time to tackle it. This is another recipe inspired from The Secret of Cookies by Gu Huixue but I have altered the recipe slightly. 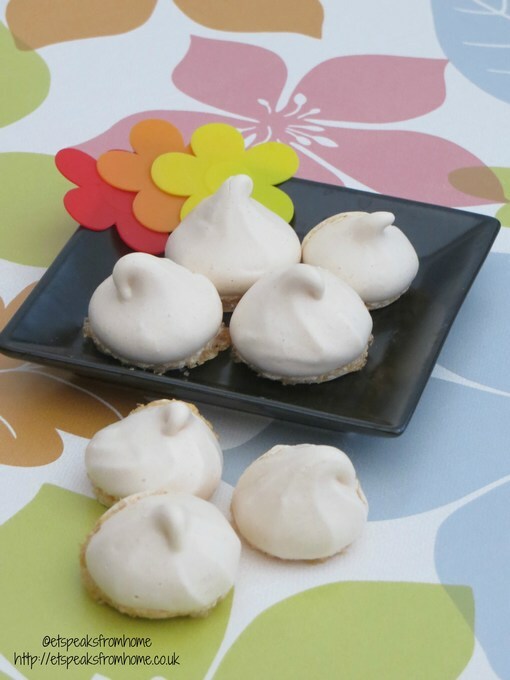 This is a very light Almond Meringue Cookies with a lovely light crunch. Egg tarts are one of my husbands favourite Chinese desserts. We always buy it from the Chinese supermarket. So I decided to bake some. This is my second attempt. The first bake didn’t turn out great. 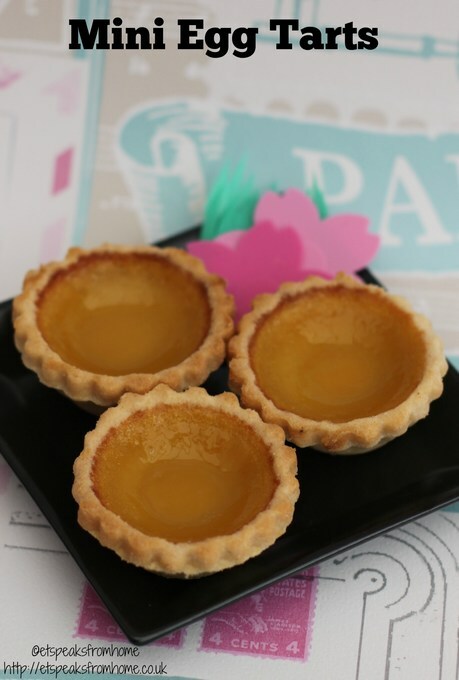 I used ready-made mini tarts from Tesco instead of making my own. Wishing everyone a Happy Mid-Autumn festival! I had made this colourful snow skin mooncake from the leftover ingredients from the Swiss Roll Snow Skin Mooncake. In many countries like the USA, they celebrate baby shower before the baby is born. As for Chinese custom, this is traditionally celebrated one month after the baby is born. This also coincides with the end of the new mum’s confinement period. During the confinement period, visiting the new mum and baby is not advisable. The full month is the day where both mother and baby are introduced to the extended relatives and friends. It is a big celebration in Singapore but when I had my first child, Mr K, we lived in London with no relatives close by and friends to invite. Before the party, the baby undergoes the hair ritual. So we had a small hair cutting ritual for Mr K. In this photo, my mum held Mr K while I cut a bit of his hair to keep inside an ang pow (red packet). Hope you’ve enjoyed my Chinese Wedding series so far where I have covered gifts, tea ceremony, hair combing ceremony and Yue Lao. This week, I am writing about ‘small uncle’ or in English tradition this is called a Page Boy. 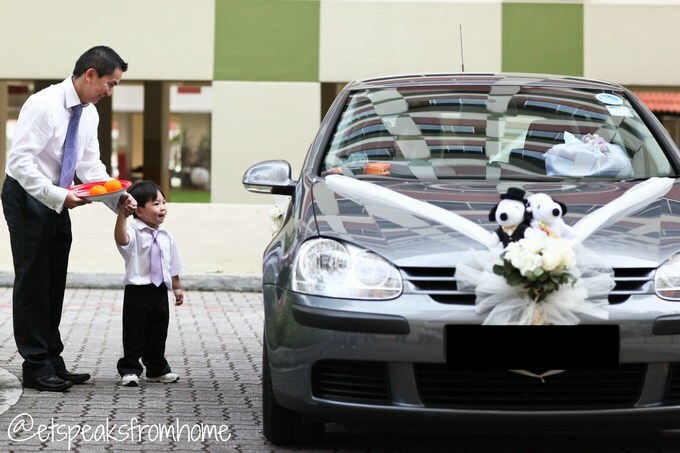 In a Chinese Wedding, our ‘small uncle’ have a very important role than just walk together with the bride. Who can be Small Uncle? Each bride and groom will have one boy each that is closely related to the family. For my sister’s wedding, they decided to ask my son to be their page boy. On the wedding day, when the groom arrives at the bride’s house, he is not allowed to open his car door but has to wait for the small uncle to open it for him. The small uncle opens the door and brings a pair of oranges to welcome the groom. In return, the groom would give him ang pow (red packet). This photo shown the bride’s small uncle opening the door for the groom. 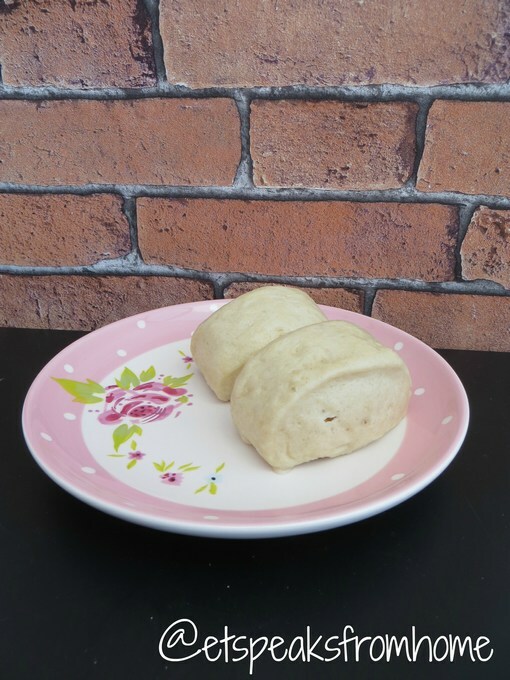 Last year, I made Chinese Steamed Buns – Man Tou using the Food Network website. So last week I went to my Chinese friend’s house and she taught me her own recipe. She had tried a few recipes but they were not as good as the ones sold in her own country. She had also tried a number of different brands of plain flour but found that the Aldi plain flour is whiter than other brand. Also it is cheap at only 49p. Also by adding strong white flour, it makes the bun spongier. She also taught me a new way to steam buns. I saw it on internet before but I dared not try it until now. Since she taught me once, I have been trying it out and it was great but just slightly oily. 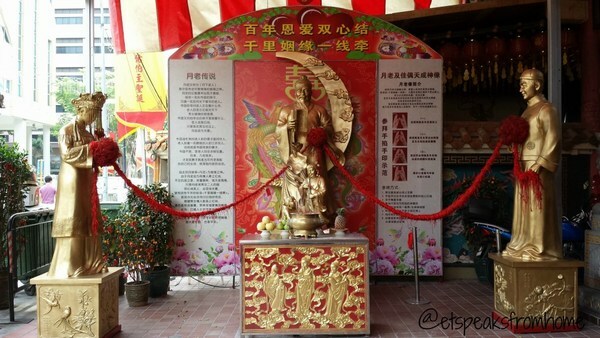 Following my recent theme on Chinese traditions, I decided to write about Yue Lao who is the god of marriage. Without him, there wouldn’t be any wedding. According to legend, Yue Lao appeared as an old man under the moon. He is like cupid but instead of holding a bow and arrow, he is holding a red string. If he ties the red string onto the couple, they will fall in love and get married. In the traditional Chinese wedding custom, the bride and bridegroom walks together holding a length of red cloth with a big red ribbon in the middle. This is symbolism of their match by Yue Lao. I don’t think this has been commonly practised in Singapore. 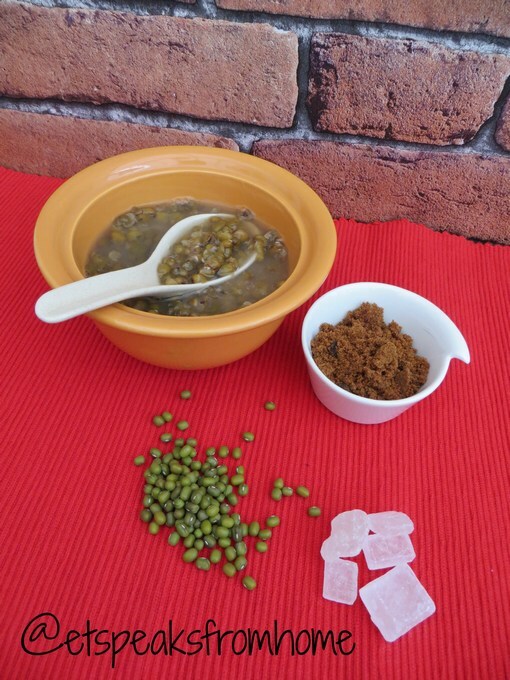 Green bean soup was never one of my favourite desserts until I came to UK as this is the only dessert I know how to cook. Fairly simple! Soak the mung beans / green beans for a couple of hours or overnight before placing them into the slow cooker, with a 2 to 1 water to bean ratio. Cook it till soft and mushy. After which, add rock sugar or brown sugar. It is then ready to serve. Glutinous rice is often served as dim sum in Chinese restaurants. They were wrapped up with lotus leaves and steamed. They do sell lotus leaves in Chinese supermarkets typically as a massive pack of 20 leaves. 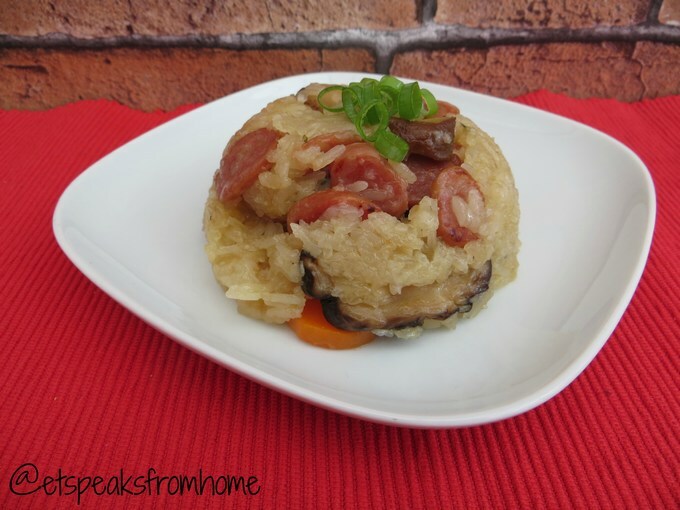 I decided to cook my glutinous rice in my rice cooker instead of using the lotus leaves and steaming it.